In Geneva, in January 1980, the draw for the European Cup quarter finals was made. 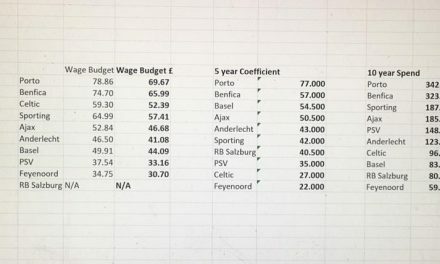 Celtic were in the last eight, courtesy of beating such modest opposition as Partizani Tirana of Albania and Dundalk. 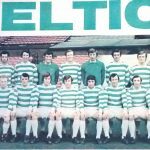 The draw was keenly anticipated as Celtic awaited their fate as Nottingham Forest , Dynamo Berlin, Strasbourg, Ajax, Real Madrid, Hamburg and Hadjuk Split were named as the possible opponents for the Celts. It’s worth noting that there was no seeding involved so it was any one from those seven clubs. 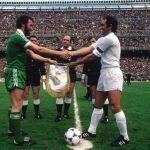 There was tremendous delight when Celtic drew the Spanish champions, Real Madrid. 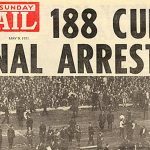 It was only 20 years earlier that Real had given arguably the greatest ever club performance when they had beaten Eintracht Frankfurt in the European Cup final at Hampden, in front of an adoring Glasgow public. Glaswegians had certainly taken Real to their hearts and names like, Puskas, Di Stefano, Gento and Santamaria were synonymous with all that was good in football. 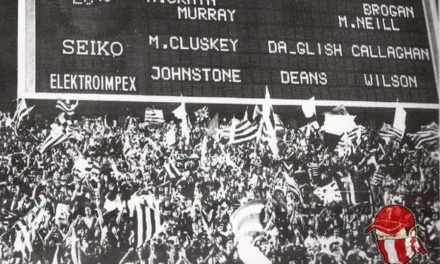 The home tie was a guaranteed 67,000 sell out affair for Celtic and when tickets went on sale in January, the fans queued down Kerrydale Street and along London Road in their thousands, in freezing winter weather, for the precious briefs. Television stations were desperate to show the first leg in Glasgow live but the Celtic board declined the lucrative offers despite selling out the tie, saying that this was not fair on the fans who had bought tickets in advance of the match. In 1980 Real had their current superstars. Pirri, their captain was a veteran from the last time Real had won the European Cup in 1966 and the Spanish internationals Santillana, Juanito and Camacho were known for their many appearances for Spain. However, the real stars of the Madrid team were their expensive foreign imports, Laurie Cunningham from England and Ulrich Stielike from West Germany. When Real arrived in Glasgow on Tuesday lunchtime they were greeted by a piper, and the complete staff of the Renfrew Hotel where they were staying turned out for them on arrival. In comparison Celtic were very much inexperienced. Only captain, Danny McGrain and the veteran Lisbon Lion, Bobby Lennox, had any wealth of European experience. 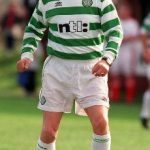 Billy McNeill’s side was built around the energy of his young players and the likes of Roy Aitken, Davie Provan, Murdo MacLeod and George McCluskey were huge favourites with the Celtic supporters. Celtic Park was bursting at the seams on 5 March when the first leg was played. Real were able to field a full side but Celtic had a midfield injury crisis with Tommy Burns, Mike Conroy and Dom Sullivan all out injured meaning McNeill would need to shuffle his pack. In the first half Real had showed their class. Cunningham, in particular, showed some fantastic touches as Peter Latchford was called upon to keep the Spaniards at bay with two fine saves. Inspired by the noise from the huge crowd, Celtic came out fighting in the second half. Players who had looked unsure in the first half now began to make their mark. Billy McNeill had tweaked his side at half time. Davie Provan had been tightly marked by the Madrid defenders so McNeill made him cut inside to allow space for Alan Sneddon to attack down the right flank. It worked wonders as Sneddon created two goals, the first after the Real ‘keeper, Garcia Ramon, had spilled his shot allowing George McCluskey to score, and the second, an unforgettable header from John Doyle from a Sneddon cross. 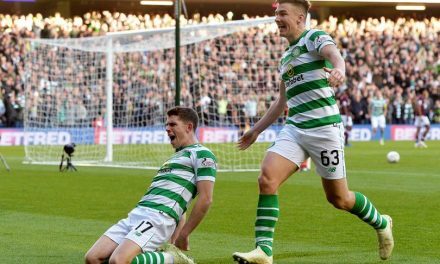 Celtic prevailed by 2-0 and their fans began to dream of reaching the final, in May, ironically to be played in Real’s own great Bernabeau stadium. The only disappointment was that Celtic, in the end, had not won by a greater margin than 2-0. The Celts travelled to Spain for the second leg in good spirits and were optimistic that they could grab the vital away goal which would make their task all the easier. This was the first time that Celtic fans had travelled abroad in great numbers in the modern era. Flights were still very expensive but there had been great progress with modern coaches which now boasted more comfortable seats, air conditioning and toilet facilities. Because of this dozens of Celtic supporters clubs were able to travel in great numbers for the first time. In the end it was estimated that 3,000 Celtic fans travelled to Spain. 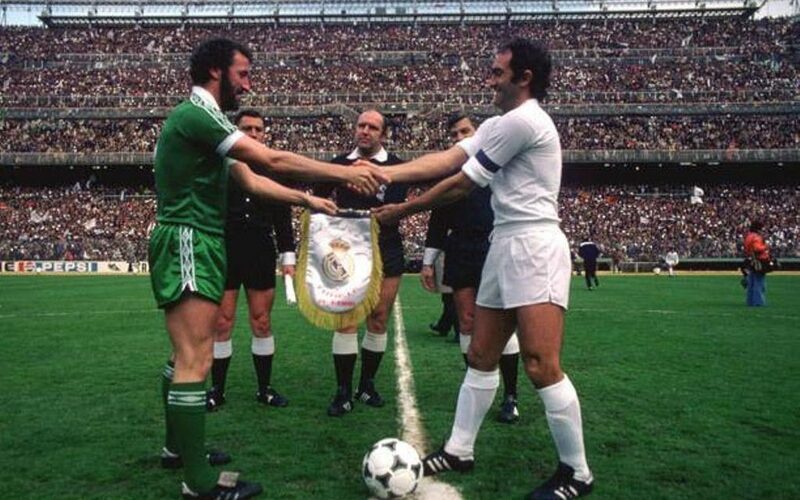 Real had worn their change strip of all blue in Glasgow which meant Celtic had to ditch their traditional hoops and play in a smart all green kit in Madrid, a sharp contrast to Real’s famous all white. Sadly, no live TV coverage was allowed in Scotland by virtue of Real having a sponsor’s name on their strip but curiously, their jerseys did not have the sponsor on them on the night. 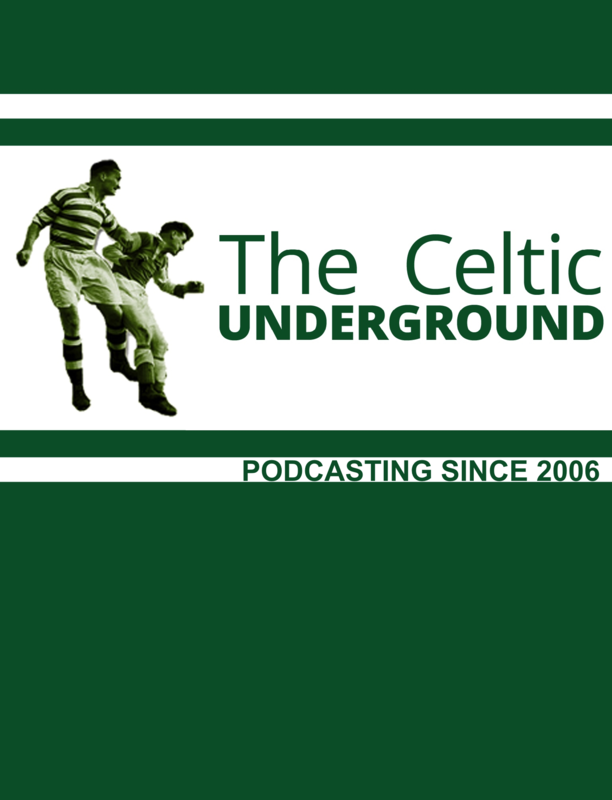 This left Celtic fans huddled around radios listening to Richard Park’s commentary on Radio Clyde. Celtic fans best remember this tie for one reason – a first half George McCluskey miss. With the score at 0-0 it would have given Celtic a substantial boost if he had scored with only the goalie to beat. As it was, Real equalised on the stroke of half time due to a controversial goal. In the second half it became inevitable that Real would score the three goals they needed. They did through Santillana, Stielike and Juanito, the third goal coming when Celtic were just seven minutes from the sanctuary of extra time. 19 March 1980 was a beautiful spring evening in Glasgow. At the final whistle I walked down to a friend’s house in order to console each other in our disappointment. The game had kicked off at 5.30 in the evening so it was still daylight. Each year as winter passes to spring and the light nights creep in, my mind always goes back to 1980 and the devastation we all felt at that result. Celtic still had a European pedigree in those days and there was more a level playing field back then. None of us were to know that it would be 22 long years before the next Celtic team would negotiate their way beyond European competition after new year. This was a landmark in Celtic’s history. It was the last time we took part in Europe’s premier competition when I believed that we had a genuine chance of winning the damned thing. As it happens Real were battered 5-1 in the semi’s against Kevin Keegan’s SV Hamburg, who in turn were turned over in the Bernabeau in the final against Brian Clough’s Nottingham Forest. The spring of 1980 will always be recalled with disappointment, But man, those two weeks leading up to that second leg were fantastic. We were right up there with the best. Now, if only George McCluskey had scored….